Pete Hill MIC, FRGS has climbed in many continents and countries across the world, including first ascents in the Himalayas. 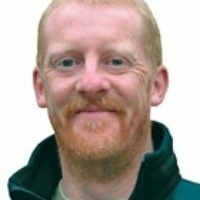 He is a holder of the MIC award, the top UK instructional qualification, and has been delivering rock and mountain sports courses at the highest level for a number of years. He is a member of the Alpine Club, honorary life member of the Association of Mountaineering Instructors and a Fellow of the Royal Geographical Society. A lack of common sense has caused him to be found on the north faces of the Eiger and Matterhorn in winter, as well as on a number of other extreme routes climbed in difficult conditions in the European Alps, Africa, Nepal and India. Pete lives in Scotland and has two daughters, Rebecca and Samantha. A frequent contributor to various magazines and websites, he is also author of The International Handbook of Technical Mountaineering, Rock Climbing and Sport Climbing, and co-author (with Stuart Johnston) of the globally successful The Mountain Skills Training Handbook. He runs both summer and winter skills courses from beginner through to advanced level.